Great Effort – Well Done……. The omens were not good – nor was the weather forecast. The weather gods predicted a downpour of biblical proportions and they did not disappoint! Saturday morning is the busiest of the week in the park. Did the weather put anyone off? Nah! Well done to the parkrunners (87 of them), the footballers, the anglers and the cyclists – but especially the volunteers who make all these things happen. Great stuff – great people – great park! ……. and then the sun came out! 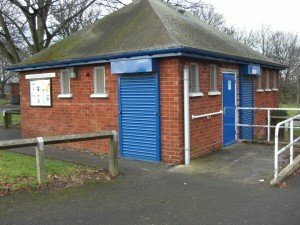 A reminder that the park toilets will be closed for the winter after today (Sunday 1st November). I know we keep saying it but this is not a situation we want. We are looking at longer term solutions to the problem for the future. This does not however help the situation over the forthcoming winter. (Note: Our volunteers will be opening the toilets for the Santa Dash on 13th December). Our thanks to regular parkrunner Phil Bussey who has sent us a great selection of pictures from the Halloween parkrun.